I love to be outside. For as long as I can remember, my summer memories have been of the time I spent exploring creek beds, rambling over the foothills picking crocuses, catching minnows in the fishing hole, and making grand mansions in the tall field grasses. Rarely would you catch me indoors before dark on a summer day. I’m all grown up now, but I still love the outdoors. If the sun is out, I want to be out playing in it. And now I have my own little ones that can play outside with me! My favourite part of summer is taking the kids camping. 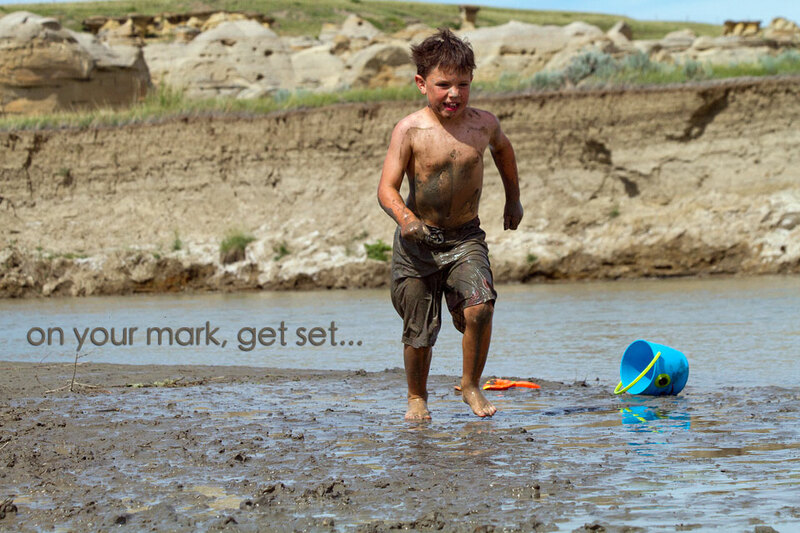 For 8 years now, I have hauled my smalls out into the wild and let them play freely with whatever the earth provides. 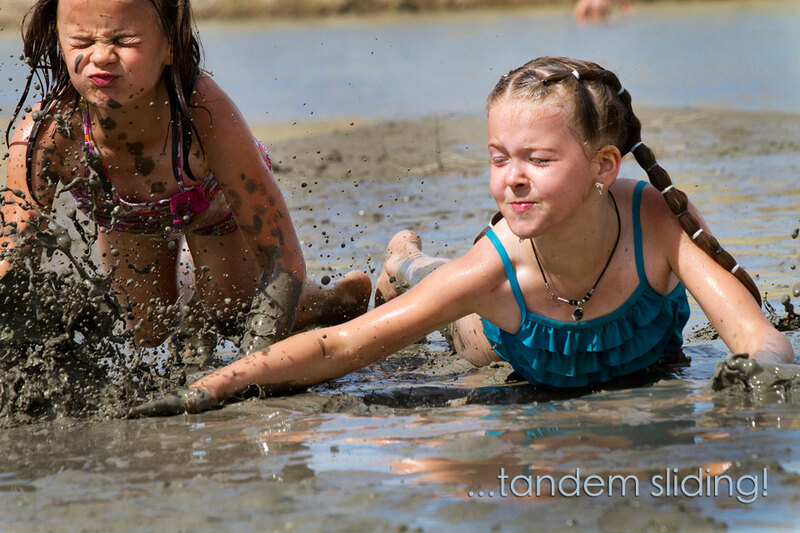 This year, the earth provided a most wonderful thing…a muddy river bed, and COUSINS!! 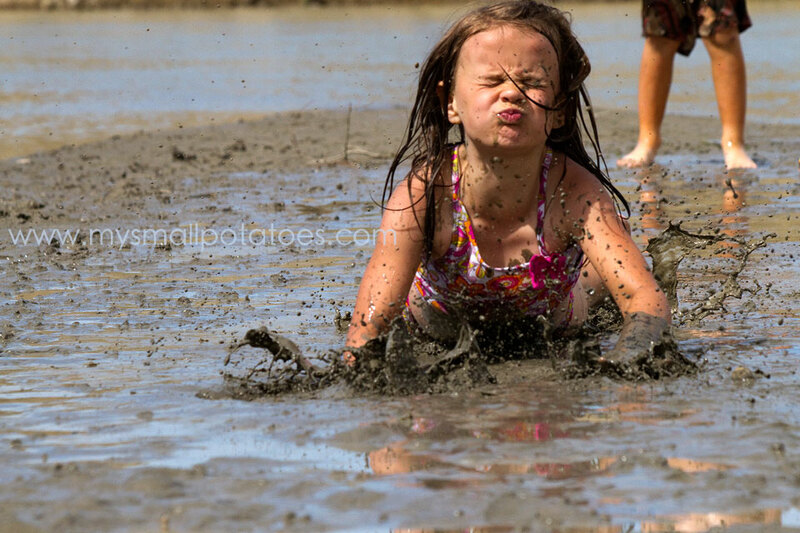 You would be surprised to see how many things a child can think up to do with a patch of good mud. You’ll be seeing some of those ideas later on, as we continue our Camping With the Smalls posts through the month of August. 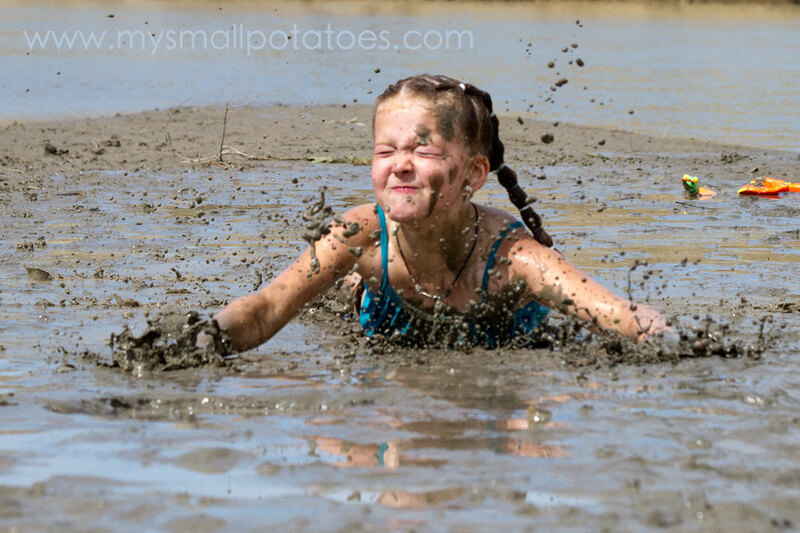 Oh, the sheer joy of a muddy splash!! The kids went time and time again through the mud, providing excellent opportunity for some great photos! And how convenient it was to have the water right next to us to clean up before heading back to camp! And yes, the mud did wash out of their suits with no problem at all. And even if the mud had stained those cute little suits, what is a piece of fabric worth, compared to a memorable, and joyous day spent in such childish abandon? 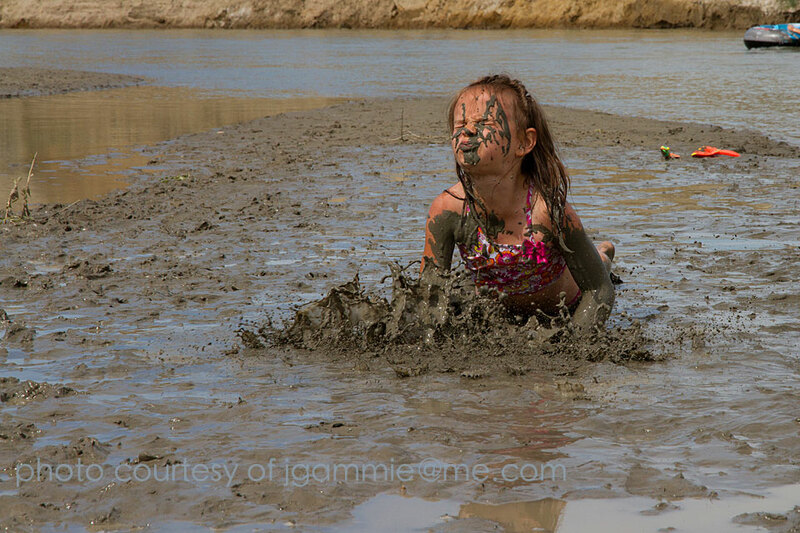 I laughed all the way through this Arlee….so much fun….I lovvvvvvve mud!!!!!! Oh how I wish it were summer here in Australia. Love it! Totally priceless, great shots Arlee. Amazing action photos! My daughter would love this and it almost makes me want to have a go too! Wonderful photos I really enjoy your posts because you have such wonderful photos on your blog posts. 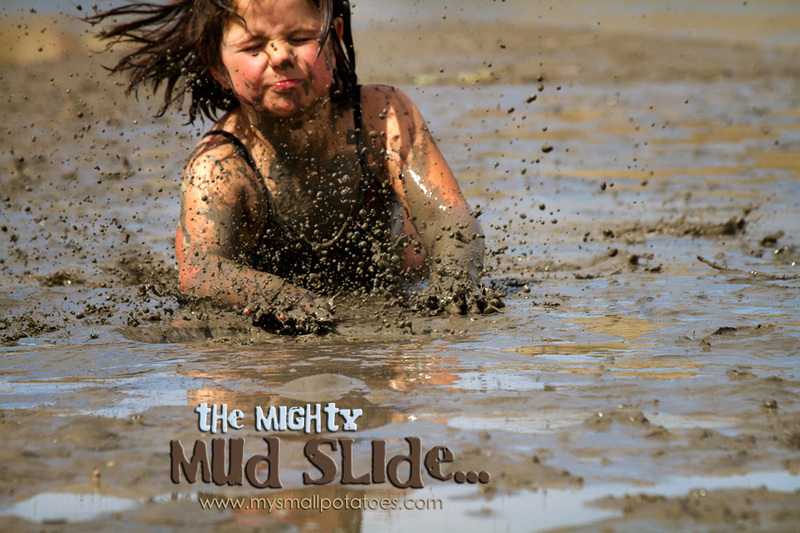 What a wonderful idea about mud sliding.